Z Floor specializes in the design, construction, installation, and repair of athletic flooring surfaces for gymnasiums across Texas, Oklahoma, Louisiana, and Arkansas. We pride ourselves with high-quality work, unmatched service, and partnering with great manufacturers. 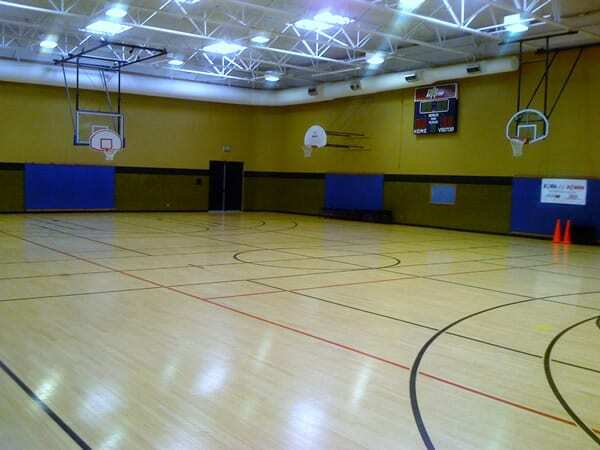 If you are a public or private school, university, health club, performing arts center, recreation center or church and are in the market for a basketball gym court, weight room floor, racquetball court, aerobic or dance floor, stage flooring, or an indoor running track, you have come to the right place! Plyboo Bamboo City of Dallas Singing Hills Recreation Center in Dallas, TX. Click here to view more Sports Flooring photos. Our Design and Performance Center for indoor sports flooring is located in Lake Dallas, Texas, within 30 minutes from Dallas Love Field or DFW Airports. Owners, designers, and architects are able to try out all of the athletic gymnasium sport floor systems we have to offer. It is a great opportunity to view and feel the differences in all of our hardwood courts, synthetic flooring, rubber flooring, and sport vinyl flooring systems. We have over fifteen 10′ x 10′ gym floor pods that you can bounce a ball on, jump up and down on, and see all the different grades of wood we have to offer. While visiting Z Floors Design Center, we can discuss custom logos and artwork, along with any personalized mascot or lettering needed to fit your budget. We can also discuss annual maintenance budgets for screen and re-coats, sand and finish, and pricing on gym floor covers for maximum protection. Proudly serving Brownsville, Texas, in design, construction, installation, and repair of athletic / sports flooring surfaces. Contact us today to schedule a visit!